Mother of teenage suspect in waves of bomb threats against US Jewish institutions says son suffers from autism, brain tumor. JTA - The mother of the Israeli-American teenager arrested on suspicion of calling in more than 100 bomb threats to JCCs and other Jewish institutions said that her son has diagnosed autism as well as a tumor in his brain that affects his behavior. The woman, whose identity was disguised with digital imagery, was interviewed on Saturday night on Israel’s Channel 2. The identity of the suspect, 18, is under a gag order in Israel, though he has been identified in reports in other countries. He was called “M” in the Channel 2 report. The teen’s mother said he was home-schooled for his entire life after he was diagnosed as being on the autism spectrum and it became clear the he could not function within a formal school framework. He is very intelligent, however, she said. She stopped working as a biochemist in order to teach her son. The teen was born in the United States, and the family moved to Israel when he was 6. The teen’s mother said she was “shocked” when she found out that her son was suspected of making the threats against the JCCs and other Jewish institutions in the U.S. She said she did not know how much time he spent on his computer because she works nights and was not home. She also said that he rarely left home and had no friends. She said she had spoken to her son about the JCC bomb threats before his arrest and that he joined her in expressing concern about their Jewish friends in the United States. Curing a court hearing last week the teen’s attorney presented photographs and medical imaging of a non-malignant brain tumor that the defense says affects his behavior. 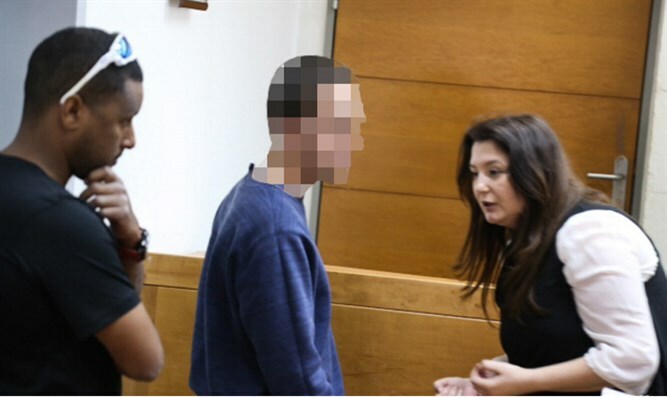 The teenage suspect was arrested on March 23 at his home in Ashkelon following a months-long undercover investigation by Israel’s anti-fraud unit, as well as the FBI in the United States and law enforcement in other countries. He also is accused of a series of threats made in Israel, Europe, Australia and New Zealand in the past six months and of making a threatening call to Delta Airlines, leading to the emergency landing of at least one plane.